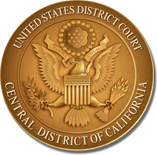 The United States District Court for the Central District of California has established a Mediation Panel (the “Panel”) to conduct mediations pursuant to Local Rule 16-15 and General Order 11-10. The Court has been advised that Panel Mediators regularly incur certain out-of-pocket expenses as a result of their volunteer service. The Court has determined that it is appropriate to adopt a method by which Panel Mediators may obtain reimbursement for such expenses. The Court will reimburse out-of-pocket expenses incurred by a Panel Mediator and resulting from his or her volunteer service to the Court in his or her official capacity as a member of the Panel. Reimbursable out-of-pocket expenses may include, but are not limited to: parking expenses, mileage, PACER fees, postage costs, photocopying costs, and/or the cost of long distance telephone calls incurred as a result of the Mediator’s service on a case that has been ordered to the Panel by the presiding judge and in which the record reflects that the Mediator has been selected by the parties assigned by the Court. Photocopy costs will be reimbursed at actual cost, not to exceed $.07 per page. Long distance telephone calls will be reimbursed at actual cost, not to exceed $.10 per minute. Travel to and from mediations will be reimbursed at the rate applied by the General Services Administration to federal employees who use privately owned vehicles. The current applicable mileage rates are available on the court’s website: www.cacd.uscourts.gov/attorneys/mileage-rates. Internally generated recurring costs and any costs associated with cases not referred to the Mediator through the Panel are not reimbursable. Examples of such costs are computer-assisted research costs and overhead costs. Reimbursement not to exceed $50.00 per case. The maximum amount reimbursed for any case shall be $50.00, unless a larger amount is approved before the expense is incurred. To obtain advance approval, the Mediator must complete a form entitled “Request by Panel Mediator to Incur Costs in Excess of $50.00," setting forth the nature of the contemplated expenditures, the reason for the expenditures, the anticipated amount, and such other information as may be relevant for a determination that there is good cause for the expenses to be incurred. Once completed, the form is to be presented to the ADR Program Director for approval. Expenses incurred by the Panel Mediator during the course of compensated service are not reimbursable. The Central District of California has implemented a compensation policy regarding the services of Mediators wherein preparation time and the first three hours of the mediation for any case referred to the Panel will be provided on a volunteer basis. Pursuant to the compensation policy, Mediators may continue the mediation on such terms and at such rates as the Mediator and all parties have agreed. The Mediator must have communicated the terms and conditions of payment in writing to the parties. Reimbursement will only be provided for those covered expenses associated with the volunteer portion of the Mediator's service. In those instances where the Mediator continues the mediation beyond the first three hours and does so on a purely volunteer basis, the Mediator may seek reimbursement for covered costs incurred during such extended volunteer service. Upon completion of the mediation in an assigned case and after filing the Mediation Report (Form ADR-03), a Mediator seeking reimbursement for out-of-pocket expenses must complete the form below entitled “Request for Reimbursement of Out-of-Pocket Expenses Incurred by Panel Mediator,” setting forth the nature, reason and amount of each expenditure and attaching invoices and actual receipts or copies thereof. This form is to be presented to the ADR Program Director for approval. The ADR Program Director shall have broad discretion in approving or disapproving expenses in accordance with this policy. The maximum reimbursement for out-of-pocket expenses related to any one case shall be $50.00, unless a larger amount is approved, in writing, prior to the expenses being incurred. To obtain advance approval and payment of an expense, the Panel Mediator must complete the form below entitled “Request by Panel Mediator to Incur Costs in Excess of $50.00.” This form requires the Panel Mediator to set forth the nature of the proposed expenditures, the reason for the expenditures, the anticipated amount and such other information as may be relevant for a determination that there is good cause for the expenses to be incurred. Once acted upon by the ADR Program Director, a copy of the Request by Panel Mediator to Incur Costs in Excess of $50.00 will be forwarded to the requesting Panel Mediator and must be submitted by the Panel Mediator with the final request for reimbursement and accompanying receipts. DO NOT FILE THE FORMS. These forms are for administrative use only and will not be made a part of the case file or made available to the public or to parties in the case. Completed forms should be submitted by email to ADR_Coordinator@cacd.uscourts.gov. The funds for reimbursement are provided by the Central District’s Attorney Admissions Fund. Orders providing for reimbursement are to be signed by the ADR Program Director and forwarded for payment to the Clerk of Court.